The staff is incredibly friendly and helpful. 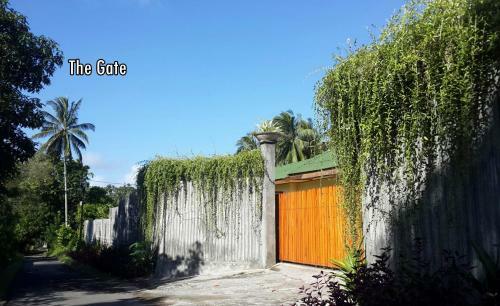 It is in a gorgeous spot, beautiful views of the surrounding mountains, ocean, forest. It is a fantastic spot and I will definitely return. Very good staff. The resort is in a village by the hill. The environment is quiet and comfortable. The view is beautiful. Perfect resort, staff, food, service and room! Wonderful hospitality of Mrs. Dewa and her team. Especially ask for Tangkoko Early Tour with Guide Mr. Ateng! The surrounding. The room is clean and comfortable but a bit small. The staff are friendly and helpful. The hosts were absolutely loveable. We booked a tour to Tangkoko National Park for 4am and we got an extra early breakfast. The complex is very widely and clean. It is wonderful to relax on the veranda. We can recommend the small restaurant with very delicious local food for absolutely fair prices. The grounds are beautiful, the rooms are nice and the staff are well informed, helpful and friendly. The staff at this hotel was The most friendly folks We meet in All of Indonesia! The hotel itself is really cozy, and got everything you'll need except a pool. Very nice garden! And a very beautiful view on top of their mountain! Lock in a great price for Botanica Nature Resort – rated 8.2 by recent guests! 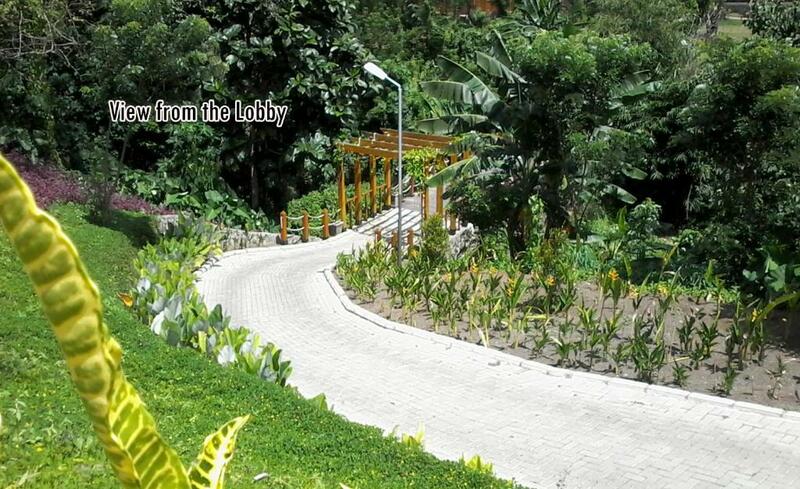 Botanica Nature Resort This rating is a reflection of how the property compares to the industry standard when it comes to price, facilities and services available. It's based on a self-evaluation by the property. Use this rating to help choose your stay! Set in Bitung, 20 mi from Manado, Botanica Nature Resort features a barbecue and sun terrace. Bunaken is 25 mi from the property. Free WiFi is featured throughout the property. There is a seating and/or dining area in some units. There is a private bathroom with slippers in certain units. Free private parking is available at the villa. 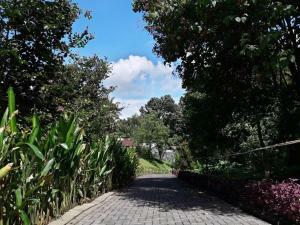 The nearest airport is Sam Ratulangi Airport, 15 mi from Botanica Nature Resort. This property is also rated for the best value in Bitung! Guests are getting more for their money when compared to other properties in this city. 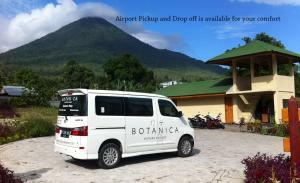 When would you like to stay at Botanica Nature Resort? This villa has a balcony. This villa has a patio, dining area and sofa. 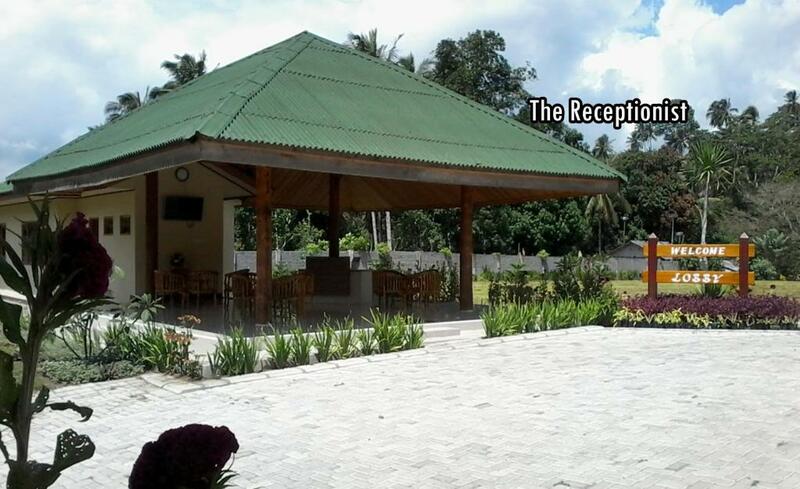 Designed with traditional Manadonese architecture in mind, two room types and a function hall are available. The Cassia Room can fit up to four guests per room and has private bathrooms. The Cannarium Room can fit up to three guests with shared bathrooms. Our function hall boasts incredible sea and mountain views and can fit up to 250 guests for any special occasions. Botanica Nature Resort is proud to employ local men and women who are dedicated to setting a new standard of service in hospitality in Northern Sulawesi. Nestled between two mountains along with incredible views of Lembeh Strait, Botanica Nature Resort is located in the village of Danowudu in Bitung, only one hour away from Sam Ratulangi International Airport, Manado. We aim to give our guests an outstanding experience of local life in Northern Sulawesi combined with modern comforts such as King Koil beds, free WiFi, private parking, and an open air cafe. 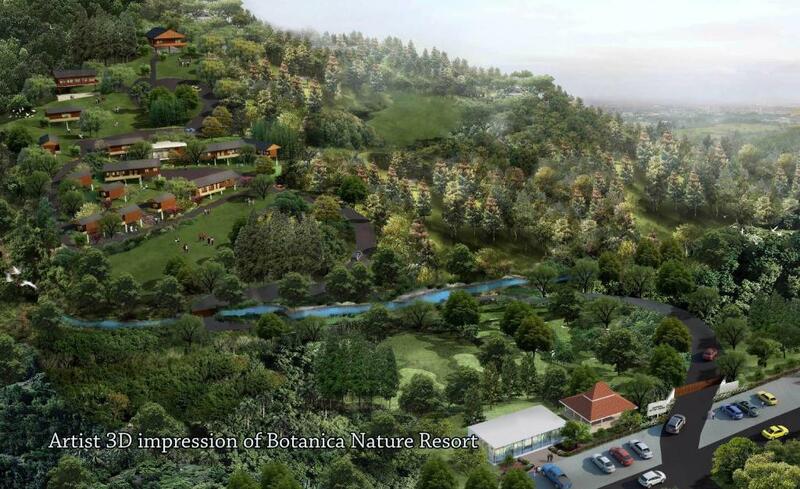 Botanica Nature Resort is strategically located near many points of interest. 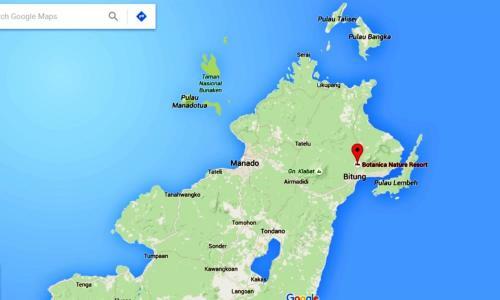 Dubbed as one of the most impressive nature reserves in Indonesia, our Resort is minutes away from Tangkoko National Park, home of the world’s smallest primate, the Tarsier. We are also only 10 km away from world class muck diving site in Lembeh Strait, known for its colourful marine life. House Rules Botanica Nature Resort takes special requests – add in the next step! Botanica Nature Resort accepts these cards and reserves the right to temporarily hold an amount prior to arrival. A damage deposit of IDR 650000 is required upon arrival – that's about 46.15USD. This deposit is fully refundable at check-out as long as there's been no damage to the property. 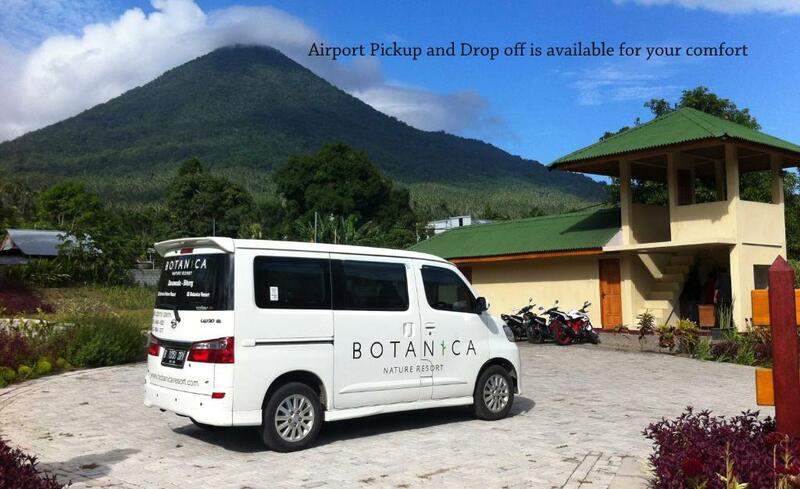 Please inform Botanica Nature Resort of your expected arrival time in advance. You can use the Special Requests box when booking, or contact the property directly using the contact details in your confirmation. The food we had for dinner was a little too bland, uninteresting and westernised. The staff wasn't very helpful when we asked questions or couldn't answer at all (f.ex what is the entrance fee for Tangkoko NP? How can we get by public transport to the NP?). We think it was because the resort offers tours themselves (but way too expensive!). Food at the restaurant was ok, but a lot of the menu was not available. Around 07 AM, workers started working on a new building which caused so much noise we couldn't sleep longer 😞 Cannerarium rooms are very small and have shared separate shower & toilet. We we're a little bit disappointed after this stay, because the "price-quality" wasn't what we expected! Despite experiences otherwise at other locations, they initially charged us for four people for the Tangkoko tour. Our children are aged 7 & 9 and we had been charged something between nothing and half price for other tours, accommodation, and transportation throughout our trip. It took some negotiation, but we eventually turned it into two adults and two-half price for the kids. In general, the tour prices from Botanica were high. After having seen the prices first hand and seeing other guides with guests from our prior accommodation, we regretted not booking the tour through a different accommodation. Also, the hotel is at least a 30 minute drive from Tangkoko. The restaurant staff at the resort were friendly and helpful, helping us with everything from booking our Tangkoko tour to finding a beach we could visit the the kids on our second day (Paal Beach. It was grand). The food a the restaurant was very good, especially their special chicken curry dish. We ordered it twice in a row, which is absolutely not one of our habits. We appreciated the air conditioning in the room, it was a relief! Sound of the people in the bungalow beneath us. Prices of excursions and trip to town. The staff was incredibly nice, did extra stuff with our kids! The cleanliness is my major concern.. It's supposed to be a nice relaxing n back to nature resting place.. But i always rushed everytime i went to the bathroom, because its just not clean, at least in my opinion.. If they want to have a wooden building, they should really maintain it. And it was a bit hard to enjoy some time outside after dark, the bugs/insects were everywhere.. But its OUTside right, so can't really complain.. It'll be great if they can put somekind of mosquitoes net at the door, so people can leave their door open to enjoy the fresh air without letting the insects in..